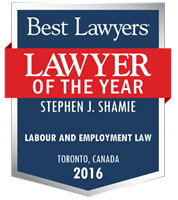 Stephen Shamie is a senior labour and employment lawyer in Hicks Morley’s Toronto office. 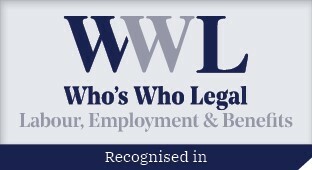 He has 30 years of experience advising and representing public and private sector employers on a wide variety of matters relating to human resources law. 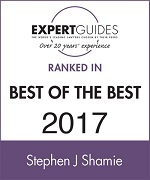 Stephen’s practice emphasizes the negotiation of collective agreements and the defence of employers in arbitration cases, human rights hearings, labour board proceedings and before the courts. 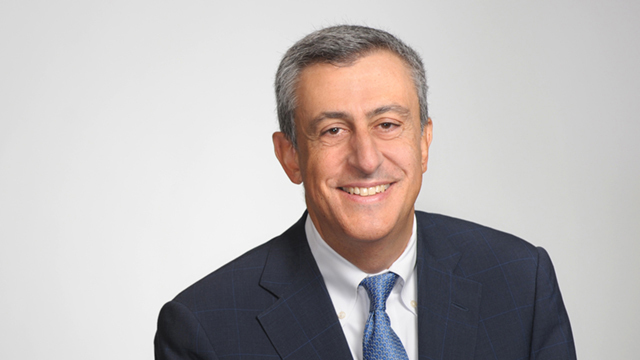 He regularly negotiates collective agreements in the hospitality, media, sports and industrial sectors. Stephen has acted as lead employment and labour counsel on many different corporate transactions and has been retained on numerous occasions by both corporations and other law firms. Stephen is the firm’s Managing Partner and has been in that role since 2003. Reviewed and advised on licensing agreements between professional sports leagues and between sponsor companies and teams on the use of player images. Acting as counsel to professional sports leagues in the defence of concussion class actions.